What else do you have a chance to win? Check these out! WIN! 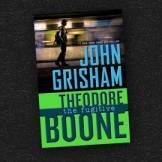 Intriguing—you could win a $500 Barnes & Noble gift card and autographed copies of all five books in John Grisham’s Theodore Boone series in the Theodore Boone Book Giveaway sweepstakes. Four runners-up will each win a signed copy of Theodore Boone: Kid Lawyer. The books in this series combine mystery, realistic fiction, and informational text, making them ideal for class book studies. There’s more. Download the free, newly updated teacher’s guide for the series, with lessons and activities aligned to standards. Click here! WIN! Enter for a chance to win a $500 gift card from Office Depot OfficeMax. Five runners-up will each win a $50 gift card. You’ll appreciate the free resources that are perfect for the end of the school year—awards, organization ideas, setting the stage for summer, and more! Get it all here. WIN! Glue sticks, glitter glue pens, Board Mate paper letters, and more—you could be a winner of a prize pack valued at over $250 in the Elmer’s Makes Learning Stick sweepstakes. You have six chances to win. Plus get free curriculum-based activities that are sure to wow your students. Get wowed here! 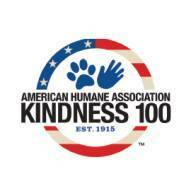 This week is also another special week— it’s the 100th anniversary of Be Kind to Animals Week. Download free resources to teach kids about animals and that animals must be treated with respect, kindness, and compassion. Take the kindness pledge and present your students with certificates recognizing their commitment. Then spread the word beyond your classroom with tips for helping parents nurture their child’s compassion for the welfare of animals. Get the free resources here. Don’t forget; submit a comment for your chance to win the file folders and Time Timer. They all look fantastic, but I guess my favorite would be the Office Depot Office Max gift card. I would love any of the items mentioned above. Hard pick-too many fab resources! I love the Theodore Boone, and who can’t use $500 from Office Max or Barns and Noble? I thought they were all great resources, but my favorite would have to be the Theodore Boone Teacher Guide activities. I would love them all, but if I had to choose, it would be the Office Depot Office Max card. 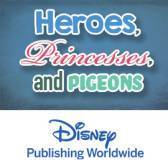 Love them all but especially the Disney Books. I enter monthly. Then of course Elmers is always great. Fingers crossed for you, Darlene! 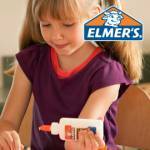 I would love to win the Elmers prize pack. I think these are all excellent resources but I could sure use the Office Max gift card for my classroom! I entered all three of the giveaways! How awesome to have these great resources available to teachers! I love the chance to win a gift card for Barnes & Noble. I don’t think anyone can ever have enough books. I would love to win any of the marvelous prizes. I could use the folders and the timer to practice our Dibel testing that is timed. The folders would help me organize my many files. The Office Depot card would be so helpful in buying ink and cardstock for the memory books I make for each of my students. The ElmerGlue prize would be used to update my writing and art centers. Thank you for offering things that show your appreciation for teachers. Elmer’s would be my favorite. I love doing art projects with students that they can keep and remember 3rd grade. I would love to win anything. All the items would be utilized in my classroom! I love the timer. I use a timer every day for math timed drills. Although I love a lot of the resources offered – my favorite is 100th Anniversary of the Be Kind to Animals week and the resources that were available to download. Animals are a passion of mine and I always love the reaction my students give to any animal that is brought into the classroom. I also believe this helps teach them kindness and compassion. The timer looks really cool. All of it is amazing. I would have to say the Barnes & Noble gift card as I love to read. 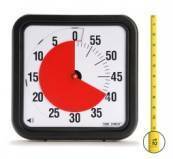 The Timer also looks good as I use Timers all day long in my family childcare home. I love the idea of a signed copy of “Theodore Boone: Kid Lawyer.” The combination of mystery, realistic fiction, and informational text sounds irresistible. Be Kind to Animals Week would be great to do for an end of the year project. Barnes & NObles is the greatest for selection of children’s books.